These days the Rajpipla State of Gujarat is known globally by its gay Prince Manvendrasinh Raghubirsinhji Sahib but the history of the Princely State of Gohil dynasty makes it known for different reasons too. Rajpipla was mentioned several times as an area of resistance to the Sultans, Mughals, Marathas, and the Gaekwad of Baroda. The king of Rajpipla was always able to regain his independence, and to maintain a relative autonomy from regional and sub continental powers. “The Rajpipala Rajas faced several attempted invasions during the medieval period, from the Sultan of Ahmedabad, the Mughal Emperor, and the Marathas. During the 18 th century, the Gaekwad of Baroda also encroached upon the border region of the State. However, the Rajapipla Rajas were generally successful in preventing a takeover of the kingdom, or in reestablishing their independence in the rare cases in which they were conquered, records Judith Whitehead in “Development and dispossession in the Narmada Valley”. When we happened to visit Rajpipla to interact with Prince Indra Vikram Singh (Teddy), the very first thing touched us was introducing himself as just Indra Vikram instead of Prince or Rajkumar Indra Vikram Singh. He has so many books on sports to his credit and the national as well as international media has written about the books or reviewed them. 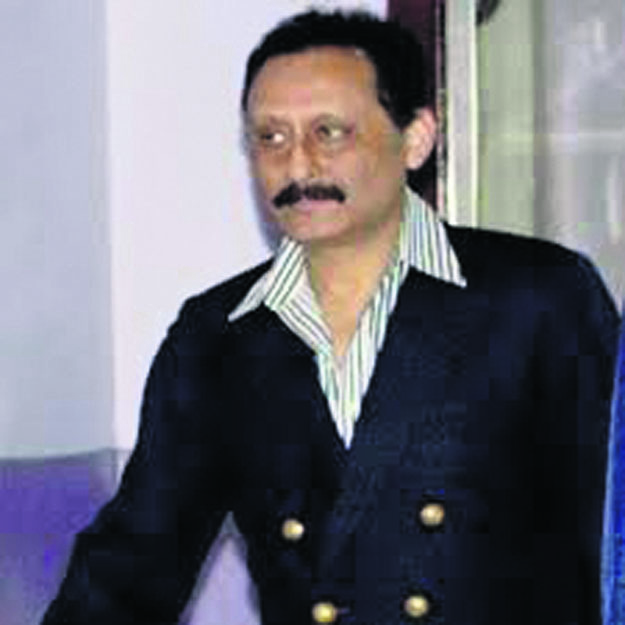 But he sound very keen on his upcoming book on the history of Rajpipala and his ancestors, the Maharanas or Maharajas. Indra Vikram is keen researcher who continues to write the history. Rajpipla, a first-class princely state, the largest in the Rewa Kantha Agency of the Bombay Presidency, at the time of “merger” with the Union of India in 1948, it was ruled by the Gohil Rajput dynasty for 600 years. Around 1340, Kumar Shri Samarsinhji Mokhdaji, second son of Thakur Mokhdaji Ranoji Gohil (reign 1309-1347) of Ghogha, in present-day Gohilwar in south Saurashtra, was adopted by his maternal grandfather Rao Chokrana, a Parmar Rajput prince of Ujjain (Malwa), who was ruling in Rajpipla at the time. Chokrana Parmar’s daughter was the younger queen of Mokhdaji Gohil. When Chokrana died without a male heir, Samarsinhji succeded to the gadi of Rajpipla at Junaraj (Old Rajpipla) Fort deep in the forests of the Satpura hills, and assumed the name Arjunsinhji. The rule of the principality of Rajpipla thereby passed on to the Gohil Rajput clan. Mokhdaji’s first son Dungarsinhji by his elder queen succeeded him to the gadi of Ghogha (later Bhavnagar) with its capital at Pirambet island in the Gulf of Cambay. Rajpipla, with its hills and rivers, forests and streams, waterfalls and meadows, is often said to be seven steps from heaven. For its enchanting landscape the region is at times described as ‘mini Kashmir’ and ‘Switzerland of the East’. 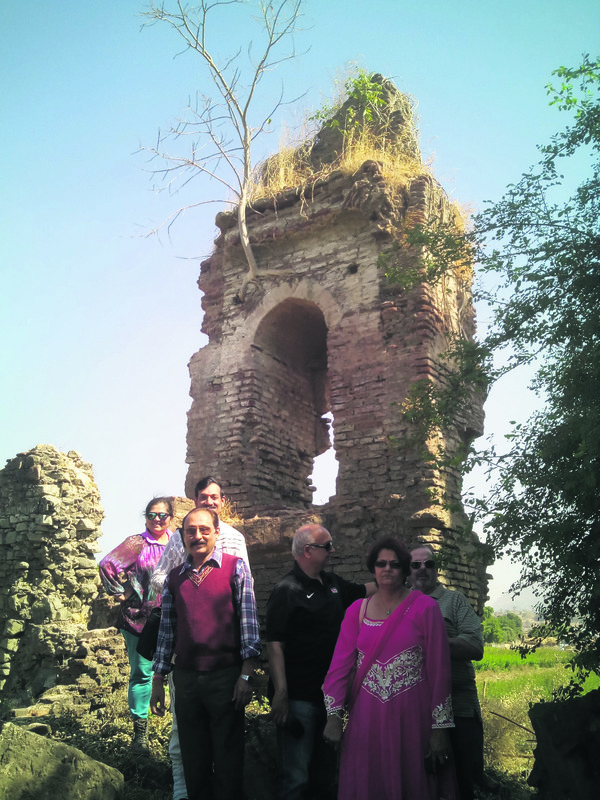 The old capital atop Devchhatra (Devastra) Hill in the Western Satpuras was where the ancient Gohil Rajput dynasty began its 600-year sway over the 4,000 square kilometres principality of Rajpipla around the year 1340. The fort there, located 2,000 feet high, was almost inaccessible. It could be approached by narrow footpaths, which with a little effort could be made impossible to traverse even for infantry. The 13-gun salute Rajpipla State was situated largely between the rivers Narmada and Tapti. Inscribed in Gujarati on the coat of arms of Rajpipla State is ‘Reva ji ne kanthe’, which means ‘On the banks of the holy Narmada’. Rajpipla grew to be one of the most prosperous princely states in Gujarat, second only to Baroda. During the reign of Maharana Gambhirsinhji (reign 1860-97), the road from Rajpipla to Ankleshwar was built, and Rajpipla State had its own postal system. Maharana Chhatrasinhji (reign 1897-1915), the 35 th Gohil ruler of Rajpipla, laid the 60 kilometres Ankleshwar-Rajpipla railway line and carried out massive famine relief during the period 1899-1902. He was one of the pioneers of motoring in India. The next ruler Maharaja Vijaysinhji (reign 1915-1948) carried out massive reforms and infrastructure works spanning agriculture, health, education, administration, police and judicial system. He ordered the laying of good motorable roads, and added the Jhagadia-Netrang section to the Rajpipla Railways. He also set up a 31 kilometres steam railroad and tramway connecting the towns along the River Narmada with villages in the interior, and a power house supplying electricity and water to Rajpipla town. His town planning as far back as 1927 was far-sighted. As Yuvraj, young Vijaysinhji moved into Vijay Palace in 1911, a home built for him by his father Maharana Chhatrasinhji. Later, Maharaja Vijaysinhji bought a splendid seaside property called ‘Palm Beach’ at Nepeansea Road, Bombay. The Maharaja spent much of the summer months at ‘The Manor’, his 27-roomed Victorian mansion at Old Windsor, Berkshire, England, having acquired the sprawling estate on the banks of the River Thames in 1922. 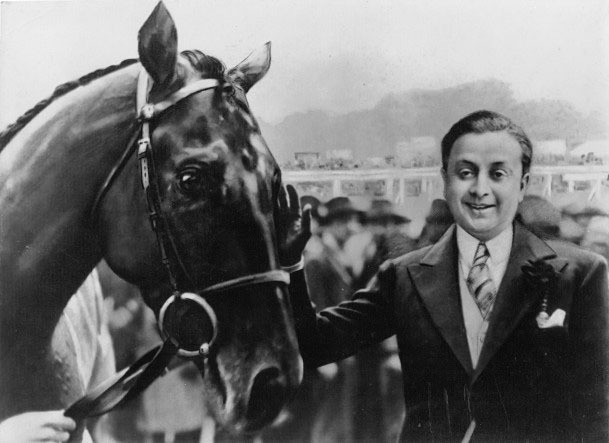 Maharaja Vijaysinhji is still the only Indian owner to have bagged the English Derby, considered the greatest horse race in the world, cheered on by an estimated quarter to half a million people which included King George V and Queen Mary of Britain and other members of the royal family. Back in India he built the magnificent Indrajit - Padmini Mahal or Vadia Palace between the years 1934 and 1939. Sports like cricket, football and hockey were made compulsory for students by Maharaja Vijaysinhji, who equipped Rajpipla with a polo ground and gymkhana club. Vijaysinhji, who ascended the gadi in 1915, carried out massive reforms and infrastructure works. Vijaysinhji laid out an airstrip in Rajpipla where aircraft landed in the 1930s and 1940s. During World War II, he donated three Spitfire fighter planes, named ‘Rajpipla’, ‘Windsor Lad’ and ‘Embargo’, and a Hawker Hurricane aircraft ‘Rajpipla II’. He also had plans to build a dam across River Narmada to facilitate irrigation and generate electricity, precursor to the present-day gigantic Sardar Sarovar project and was in the process of raising investment for it in 1948. “Rjapipala forces under my ancestor Maharana Verisalji I, in alliance with Maratha Damaji Jadhav, defeated Mughal Emperor Aurangzeb’s forces in 1705 at Ratanpur which was in Rajpipla State, and lies on the Rajpipla-Ankleswar highway,” says Indra Vikram Singh, a grandson of Maharaja Sir Vijaysinhji, the last ruler of Rajpipla, and adds, “My research goes on.” The defeat of Aurangzeb by Rajpipla was proved to be unbearable and the Emperor died in 1707. Incidentally, he was born in Dahod of Gujarat not very far off from Rajpipla ! The history of Rajpipla conveys the message that Empires fall only to rise again. We may have many more interesting stories about Rajpipla State of Gohil dynasty when Indra Vikram Singh comes out with his book on his ancestors.